Short on time? Let automotive-batteries sellers contact you. Zhongshan Shenglong Battery Co., Ltd.
Lead calcium technology Separators envelopes Hot sealed convers Polypropylene case Inbuilt hydrometer Maintenance free car battery 25-30days delivery time Super quality iso9001 approved Good cold cranking capacity Warranty provided Oem available Specification: Model no. : ns60mf(46b24r) Nominal voltage: 12v Nominal capacity: 45ah Cca-18 celsius degree: 360a Reserved capacity: 75 minutes Dimension: 240x131x199x221mm Layout: 1 Terminal: a Approx. : 13kgs Certification: Iso9001:2000, iso14001, ce, ul, etc Quanlity warranty: The quality guarantee is 13 months from our manufacture date or b/l date. We will replace any defective batteris by new ones at our cost if there is any. Application scope: Starting batteries of auto/automobile, cars, trucks, motorcycles, ships, marine boats and other vehicles. Our services and advantages: A. Small moq. B. Professional information management system . C. Oem, odm service available. D. Good reputation in quality, E. We are the factory, we are the source, which is lower price than foreign trade company. F. Fast delivery and best packaging . G. Excellent technology and technicians (more than 15-year experience) H. Up to 36-month month warranty. I. Multi speak language staffs. J. Excellent after sales services. Battery quality is quite essential to both of us, we consider that high quality, low price, mutual benefits will be good basis of our long-term cooperation!!! 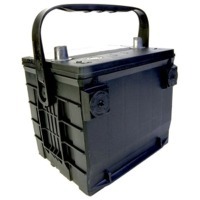 - Maintenance Free Battery using Calcium expanded Grid and special fiber tissue for long-lasting power. Export standard packaging.